Set up a free online store for your league and focus on the important stuff like the players, coaches and families. Not the hassle with ordering team gear. Being the League Administrator is a full time job. There are coaches and volunteers to manage as well as schedules and field assignments to coordinate. 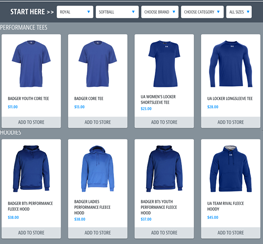 The idea of setting up a clothing sale or ordering gear for all of your players and coaches can feel impossible. There are forms to fill out and payments to collect, then you need to figure out how to get the gear to the players and parents. There’s also the gear and apparel itself. Boys & girls elite travel teams, regular travel squads, recreation teams and volunteers, all with different requirements and different budgets. That’s where SquadLocker® can help. Sign up for a free account and you can easily manage which team gets outfitted with what look, all from your desktop or mobile device. 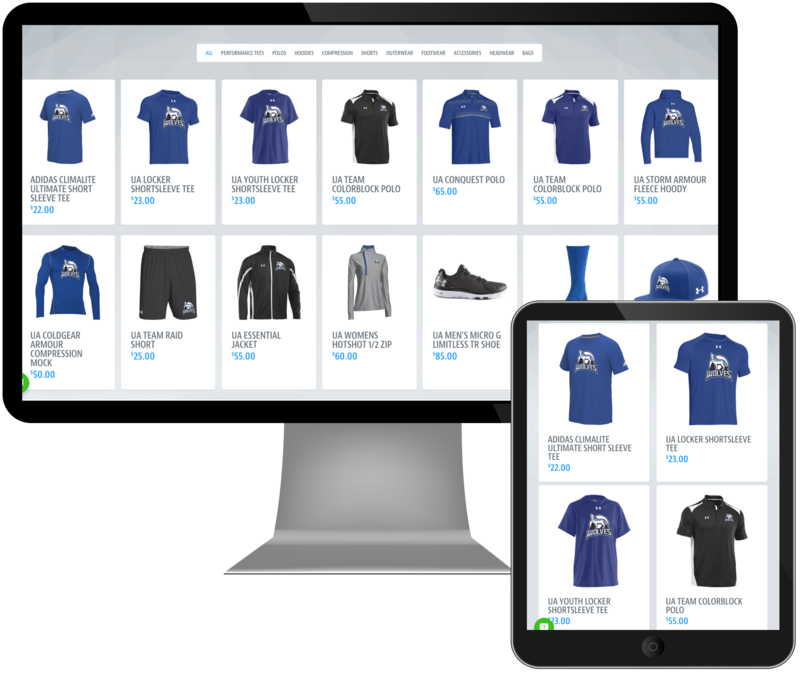 SquadLocker® makes it easy to build instant online stores for your players, parents, and volunteers to purchase from. We take care of the rest. Choose from over 30,000 unique items from some of the world’s best brands and enjoy the free service from our team of top-notch graphic designers. Our team of gear specialists is available to help you design a logo, instantly build your store or stores, and make fundraising a snap with our built in fundraising tool. Imagine everyone purchasing gear on their own, paying on their own, and your league making a profit in as little as 10 minutes of your time. We are ready when you are, build your store today.